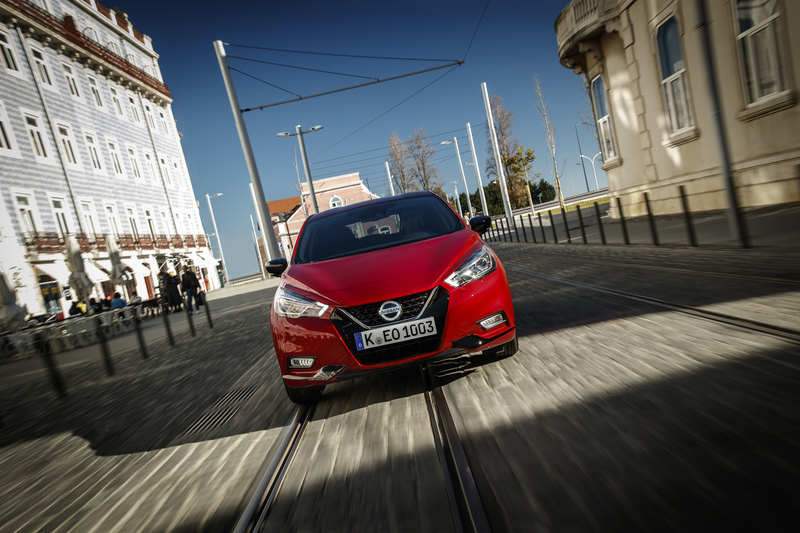 THE Nissan Micra is now more appealing than ever thanks to an extensively revised powertrain line-up. Three new customer choices have been added to the Micra range – an all-new upgraded and more efficient turbocharged petrol engine with ‘world-first’ technology; the debut of an Xtronic automatic – on sale in the UK from February – linked to the same engine; plus the arrival of a more powerful ‘warm hatch’ flagship powertrain with lowered ride height, revised suspension and sharper steering. 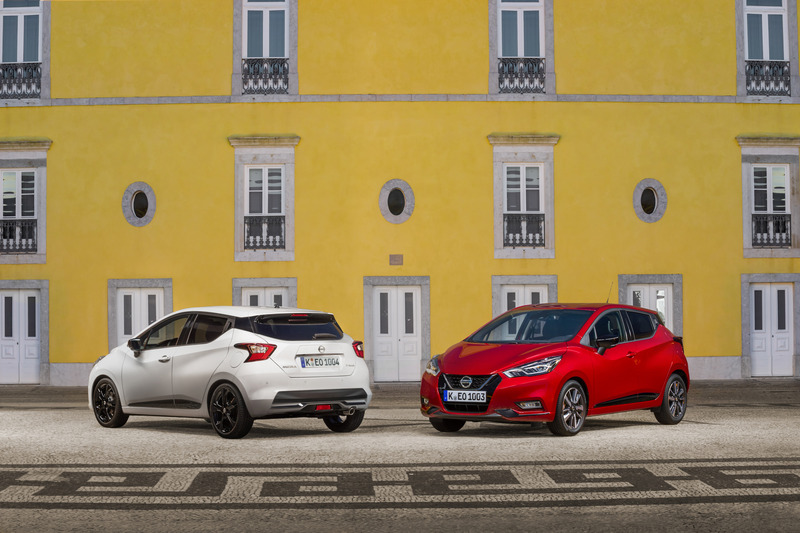 In addition, Nissan has also launched an all-new grade, the Micra N-Sport, which delivers an exclusive design upgrade both inside and outside the car. As well as delivering ‘More Micra’ than ever before, each new version offers improved powertrain refinement and response on all road surfaces and in all driving conditions. The three new powertrains have been developed through the Renault-Nissan-Mitsubishi Alliance. By using the strength and resources of the Alliance, Nissan can deliver synergies which push the boundaries of what is possible from a three-cylinder turbocharged petrol engine. Each offers the highest levels of performance and refinement to customers, meets the strictest standards of reliability and durability as well as reduced CO2 emissions. 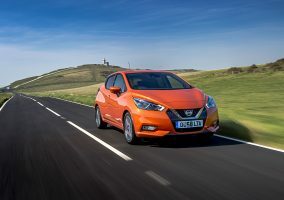 The new Micra powertrains are now on sale in the UK, joining the existing 1.0-litre 71 PS naturally aspirated petrol engine and the 1.5-litre 90 PS diesel engine. The all-new 1.0-litre IG-T 100 delivers 100 PS through a five-speed manual transmission. 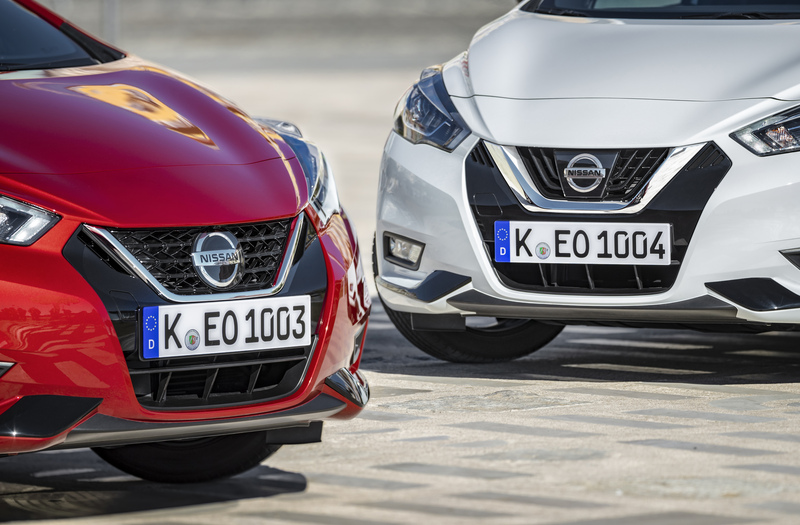 Its launch in the Nissan Micra marks the debut of this engine in any Alliance vehicle, and includes world-first technologies for a 1.0-litre petrol unit. Fully compliant with Euro6d-Temp regulations, it replaces the 0.9-litre 90 PS petrol unit in the Micra range. The customer benefits of this upgrade are more power (+10 PS) and more torque (+10 Nm) right across the rpm scale, as well as lower CO2 emissions (-13 to -15 g/km, depending on grade) and improved fuel economy (from 47.1 mpg combined to 50.4 mpg, depending on grade) for reduced cost of ownership. Benchmarked against key competitors from the B-hatchback segment, the new powertrain is among the best in class. Customers choosing the new 1.0-litre 100 PS manual will experience an improved engine response through quicker acceleration. This can be noted from a standing start – where the pull-away is now smoother – as well as in-gear acceleration. Refinement through measurement of Noise, Vibration and Harshness (NVH) has also been enhanced with improved powertrain and road noise isolation, resulting in a quieter cabin. Split cooling: coolant flow is optimised through two passages in the cylinder head to maximise energy dissipation. This improves heat management and combustion, improving fuel economy and lowering CO2 emissions. Electric turbo actuators: these provide a rapid and precise response from the turbo, improving power delivery. Bore spray coating on the cylinders: this is a world-first technology in a 1.0-litre petrol engine. Developed from the Nissan GT-R supercar, bore spray coating has already been integrated into other Renault-Nissan-Mitsubishi powertrains, including the 1.3-litre petrol engine recently launched in the Nissan Qashqai crossover. Reducing the friction in the cylinder, the coating improves heat management and combustion, cuts weight and improves fuel economy and CO2 emissions. Cylinder head with integrated exhaust manifold and plastic cover: this more compact design provides improved engine packaging and reduces the number of ducts for better and faster catalyst warming, resulting in cleaner emissions. Elastic accessory belt: the belt is made of a special material allowing it to run without a tensioner, reducing weight and friction and further improving fuel economy and reducing CO2 emissions. Forged steel crankshaft: reduced in diameter and featuring super-finished surfaces to reduce friction, this results in improved fuel economy and lower CO2 emissions. Available from February, the Xtronic is exclusively linked to the 1.0-litre petrol IG-T 100 PS engine. The Xtronic automatic is an advanced Continuously Variable Transmission (CVT) unit. It features D-step technology, which provides a more refined power delivery and on-road experience for the driver when compared to a conventional CVT. This is particularly obvious in response to aggressive use of the accelerator pedal. D-step technology also delivers quicker downshifts and better real-world fuel economy. The Micra Xtronic is the perfect car for busy urban environments thanks to its outstanding driveability. Its smooth-shifting transmission makes it very easy and relaxing to drive, and it’s a truly versatile performer in stop-start traffic. 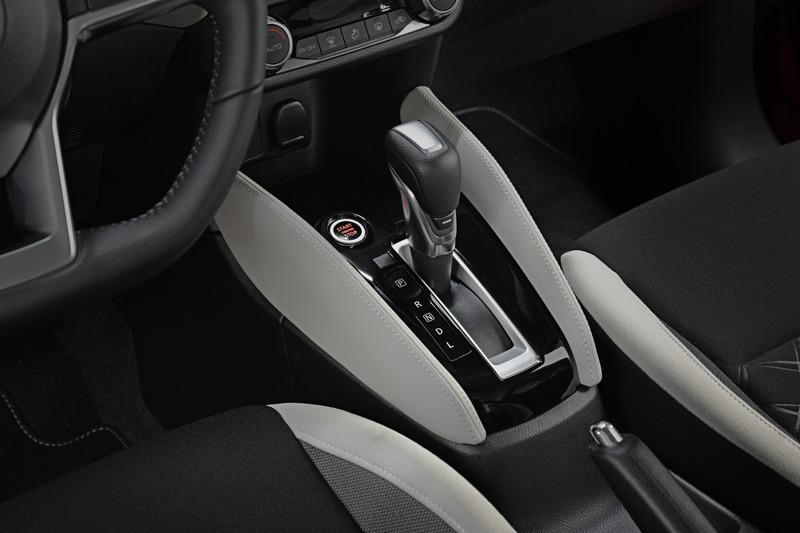 Launching an automatic transmission is an important step in further expanding the appeal of the Nissan Micra range. It is a popular choice with urban drivers who spend time in stop / start traffic and its appeal is set to grow. In 2016, when Nissan launched the current Micra, automatics accounted for 12% of the overall segment sales mix. Industry sources forecast that figure will double in 2020 and reach more than 30% in 2022. 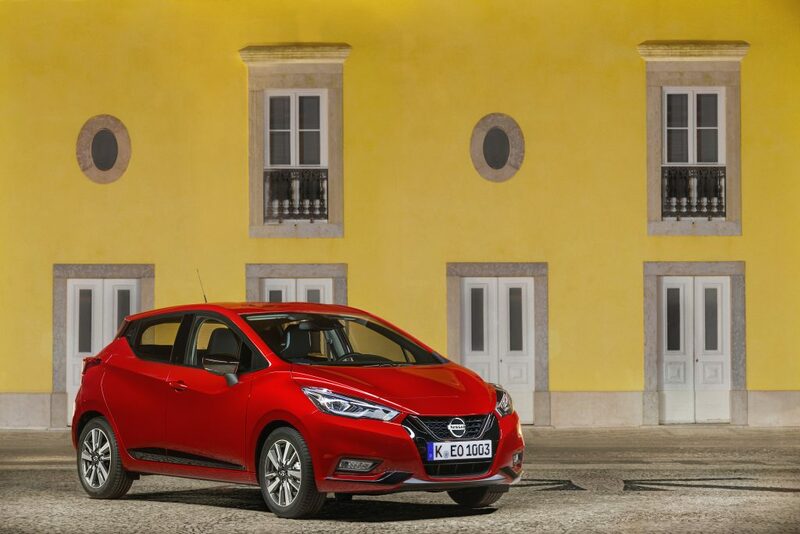 The new flagship in the Nissan Micra range is the 1.0-litre DIG-T 117 PS turbocharged petrol engine, linked to a more performance-oriented six-speed manual transmission. It is not simply a retuned and more powerful version of the IG-T 100 PS unit, but a completely different engine. 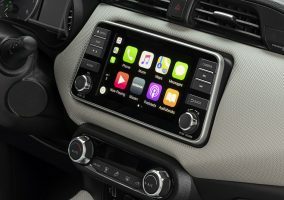 It has been developed by the Renault-Nissan-Mitsubishi Alliance in conjunction with Daimler, alongside the 1.3-litre petrol engine recently launched in the Nissan Qashqai crossover SUV. Still with only three-cylinders, the DIG-T 117 PS engine is engineered to offer customers a more performance-oriented drive, with 180 Nm of torque plus an additional 20 Nm on the overboost. Comparing the two new engines – the 100 PS and the 117 PS – the latter has noticeably more acceleration which is prolonged further through the rev range. There is obviously more power, but also more torque and with maximum output lower in the rev range (180 Nm at 1,750 rpm on the 117 PS, vs. 160 Nm at 2,750 rpm on the 100 PS). The result is a 0-62mph time of 9.9 seconds for the 117 PS, which is a full second faster than the 100 PS manual (10.9 seconds). However, it’s not only the powertrain which is different: the Micra 117 PS delivers a more dynamic on-road performance thanks to a number of physical changes. Versions featuring this engine have a lower ride height (-10mm), plus revised suspension tuning to optimise the benefits of that reduction. They also have sharper steering; the steering rack is quicker and lighter to use, so the car is noticeably more agile and fun to drive. 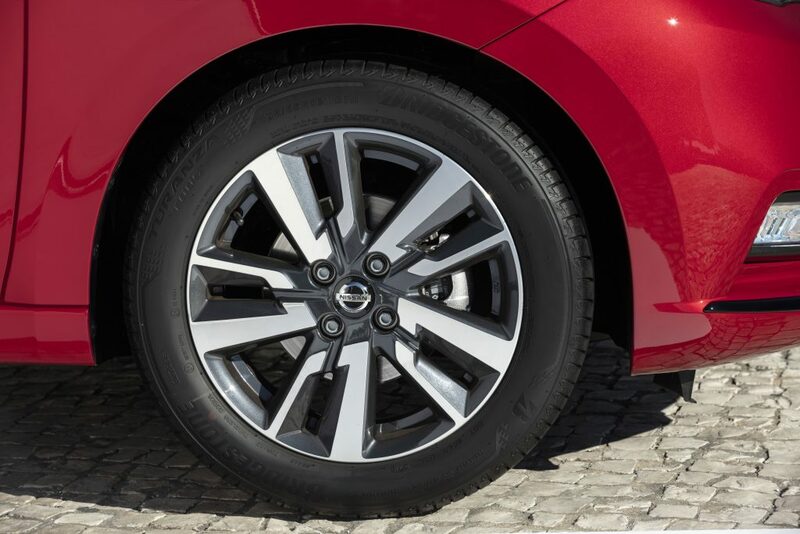 A new chrome exhaust finisher and 17-inch alloy wheels are the finishing touches to versions of the Micra featuring this powertrain. Delta cylinder head: a world first technology in a 1.0-litre petrol engine, this innovation creates a more compact and lightweight engine. The benefits of this are an increase in available impact protection space and greater freedom in the design of the car’s bonnet. Bore spray coating on the cylinders: as with the 100 PS engine, this is a world-first technology in a 1.0-litre petrol engine. Developed from the Nissan GT-R supercar, bore spray coating has already been integrated into other Renault-Nissan-Mitsubishi powertrains, including the 1.3-litre petrol engine recently launched in the Nissan Qashqai crossover. Reducing the friction in the cylinder, the coating improves heat management and combustion, cuts weight and improves fuel economy and CO2emissions. Central injector: in common with the 1.3-litre petrol engine recently launched on the Nissan Qashqai, this new Micra engine features an injector mounted centrally in the combustion chamber. Creating a more targeted fuel spray pattern, it prevents fuel from reaching the valves and spark plug resulting a better emissions performance. Fuel is supplied by a high pressure pump operating at 250 bar. Intake and exhaust variable valve timing: optimised control maximises performance and reduces emissions. Gasoline particulate filter (GPF): a mandatory feature for all direct injection gasoline engines, the GPF ensures particulates making their way through the exhaust are in line with emissions regulations. The Nissan Micra N-Sport is a new grade for 2019, designed to capitalise on the sporty design and fun-to-drive personality of the Micra. 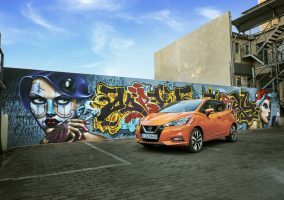 The car is positioned in the heart of the ‘warm hatch’ category of the B-segment, occupied by contenders such as the Ford Fiesta ST Line, VW Polo R-Line, Peugeot 208 GT Line and SEAT Ibiza FR. The newcomer has a number of highly desirable design upgrades to help it stand out from the crowd. The new Nissan Micra N-Sport is available with all three new powertrains – the 1.0-litre IG-T 100 PS manual and Xtronic, plus the DIG-T 117 PS manual. It is available in four distinct body colours – Passion Red, Solid White, Echo Grey and Enigma Black. From the moment the covers came off at the Paris Motor Show 2016, the all-new, fifth-generation Nissan Micra was grabbing headlines. Media loved its expressive design, uplifting interior and advanced driving assistance technologies. Within weeks it had been shortlisted into the final seven contenders for European Car of the Year 2017. It was also a hit with customers, who loved the car’s striking exterior design, two-tone soft-touch interior, comprehensive personalisation program and driving performance. Between CY16 and CY18, Micra sales across Europe were up 21%, with conquest sales from other brands reaching 65% – significantly above the B-segment average. *NEDC-BT fuel economy data provided for purposes of historical comparison.